Preventive Dentistry for Metairie: Stop Dental Problems Before They Start! With our preventive services, we can stop a problem from ever becoming a problem in the first place. With just two preventive checkups each year, Dr. James R. Nelson and our team can keep you and your entire family’s smiles looking clean, healthy, and beautiful. 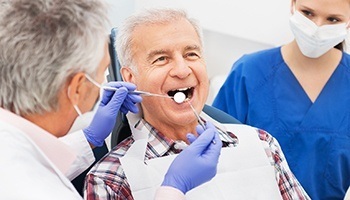 Also, with the help of these treatments, we can save you and your loved ones from having to get more extensive dental work in the future, saving you time, money, and discomfort in the process. To learn more about how we do it, simply read on below. 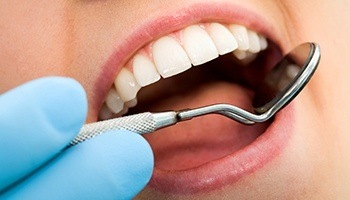 A standard dental checkup consists of two main parts: a dental cleaning and an oral exam. We use these services almost every day, and the reason is simple: they work! They are two of the best ways we can help you achieve and maintain a beautiful smile year after year. They’re both relatively quick, easy, and they’re perfect for patients of all ages. With a dental cleaning, one of our skilled hygienists will use special tools to clear away plaque and tartar buildup on your teeth and gums. This cleaning will be able to reach those difficult areas that you can’t at home with your brush and floss, and it’ll go a long way in preventing both tooth decay and cavities! For your oral exam, Dr. Nelson will inspect your teeth and gums looking for the signs of dental issues such as tooth decay, cavities, gum disease, oral cancer, and more. By coming in for regular exams, he’ll be able to catch these problems early while they are still small and easy to treat. This way, you can better preserve your natural smile and keep your routine appointments nice and short! 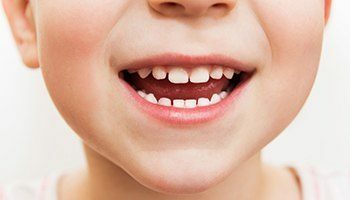 If you have a child at home who is still learning to brush their teeth, they very likely could benefit from a dental sealant. A sealant is a clear, thin layer of a plastic-based substance placed on the teeth that protect them from plaque and food particles, and they can be especially helpful for those hard to reach back teeth. They help provide just a little bit of extra protection right where your child needs it. They only take minutes to apply, and they can easily last for years. Your TMJ, or temporomandibular joint, is the small set of hinges that allows your jaw to move smoothly whenever you eat, speak, laugh, or yawn. Like other joints in your body, it can sometimes become strained or injured, leading to a condition known as bruxism, in which a person unconsciously clenches their jaw and grinds their teeth while they sleep. Over time, this can severely damage the teeth, even causing them to break! Fortunately, we can provide a simple and effective solution for this kind of problem: a nightguard. This is a small, custom-made mouthguard that a patient would only need to wear to bed each night, and it works by providing a protective barrier between the teeth while helping position the jaw muscles into a more natural, relaxed orientation. Oral cancer rates are on the rise in the US, so it’s more important than ever to have regular screenings so this disease doesn’t catch you or a loved one off guard. Dr. Nelson can perform a thorough oral cancer screening as part of your regular checkup, in which he’ll examine your lips, gums, cheeks, tongue, throat, and neck for any signs of the disease. If he finds anything that causes concern, he can advise you on how to take the appropriate action. If you want to keep your littlest smile healthy, then they need to start seeing a dentist at an early age. At our practice, we just love having children around the office because of the energy and enthusiasm they bring. We offer a variety of children's dentistry treatments tailored for children, and we’ll always perform every procedure with a gentle touch. 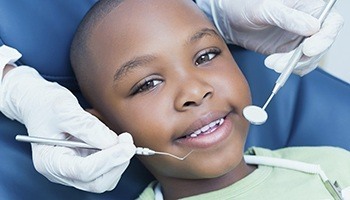 With our help and yours, we can make sure your child’s smile stays strong as they continue to grow and develop. Gum disease is actually the most common dental issue in the entire world, and it’s even the leading cause of tooth loss! In fact, research has also shown that it is a common risk factor for other serious health conditions such as diabetes, heart disease, and even dementia! To make sure this sneaky infection doesn’t affect your health, we will always keep an eye on the state of your gums whenever you come to see us. If we see any signs of the disease (such as red, swollen, or puffy gums), we can immediately diagnose and treat the problem right in our office. We’ll make sure to get rid of the infection, as well as give you strategies to make sure it never comes back. All it takes is just two preventive appointments each year to have a problem-free smile that always looks and feels fantastic. That’s certainly worth the time, right? With our preventive services, we’ll make sure you’re always ready to smile with confidence. To make an appointment, please contact our office today. We are based in Metairie, so we are happy to serve patients from Bonnabel Place, as well as Lakeview and West End, New Orleans.